My last major job was to improve the web presence of a lawyer’s office in Regensburg. I helped to illustrate the office’s online appearance with some photographies of the locality and the lawyer herself. I was hired twice, once in 2012 and a second time in 2014, to take the pictures of a local soccer team for the seasons of 2012/2013 and 2014/2015 respectively. 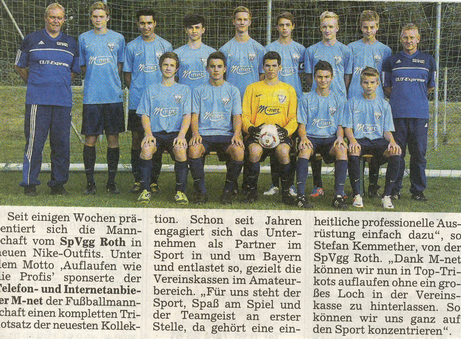 These pictures were published in a local newspaper in Roth. I participated in an exhibition of photography in Nuremberg. The topic was: “who am I?” – different modes of self-illustration. The exhibition was accompanied by a competition in which I won the third prize. In 2011, my work attracted the attention of a theatre in London, UK (for more information go to Synergy Theatre Project). 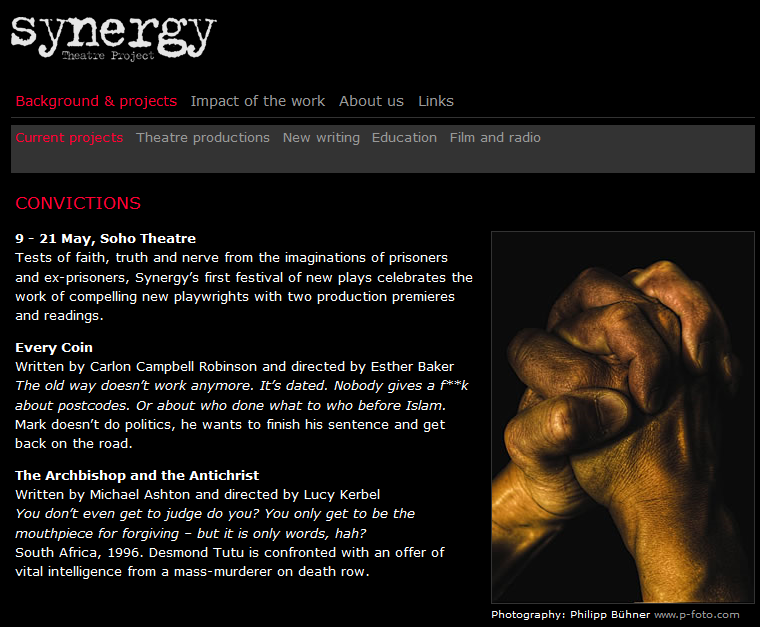 Thus, one of my photos was chosen to illustrate the play “Convictions”.